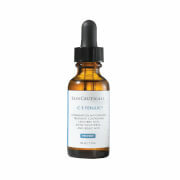 This antioxidant formula works all over to turn the lights way up on discoloration, hyperpigmentation and UV damage. This formula helps prevent the UV radiation at the speed of light so skin looks brighter, radiant and lit from within. 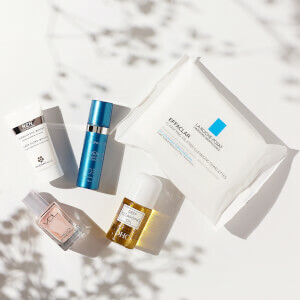 Brightens skin for a luminous, hydrated complexion. 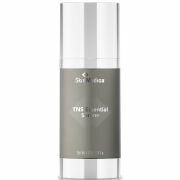 Targets hyperpigmentation and UV damage. Improves tone, clarity and color. Water (Aqua, Eau), Caprylic/Capric Triglyceride, Malva Sylvestris (Mallow) Extract, Mentha Piperita (Peppermint) Leaf Extract, Primula Veris Extract, Alchemilla Vulgaris Extract, Veronica Officinalis Extract, Melissa Officinalis Leaf Extract, Achillea Millefolium Extract, Stearic Acid, Myristic Acid, Dimethylmethoxy Chromanyl Palmitate, Alpha Arbutin, Ergothioneine, Glycerin, Panthenol (Vitamin B-5), Camellia Sinensis Leaf (Green Tea) Extract, SDA Alcohol 40-A, Glycine Soja (Soybean) Seed Extract, Arctostaphylos Uva Ursi Leaf Extract, Citrus Aurantium Dulcis (Orange) Flower Extract, Morus Alba Leaf Extract, Althaea Officinalis Root Extract, Coriandrum Sativum (Coriander) Fruit Oil, Citrus Aurantifolia (Lime) Oil, Citrus Aurantium Amara (Bitter Orange) Flower Oil, Citrus Aurantium Bergamia (Bergamot) Fruit Oil, Citrus Aurantium Dulcis (Orange) Peel Oil, Citrus Grandis (Grapefruit) Peel Oil, Citrus Medica Limonum (Lemon) Peel Oil, Citrus Nobilis (Mandarin Orange) Peel Oil, Citrus Reticulata (Tangerine) Leaf Oil, Lavandula Angustifolia (Lavender) Oil, Limonene, Rosmarinus Officinalis (Rosemary) Leaf Oil, Salvia Sclarea (Sage) Oil, Allantoin, PEG-100 Stearate, Glyceryl Stearate SE, Cetyl Alcohol, Carbomer, Potassium Sorbate, Phenoxyethanol, Ethylhexylglycerin, Tromethamine.